Check our guide articles with some interesting facts about Berlin and places you should visit. Many people travel to Germany last month of the year to enjoy Berlin’s amazing fairy tale atmosphere. Berlin is not an exception and it turns to be one of the most beautiful city in Germany. Usually all Christmas markets are opening on 26th of November and not just tourist, but also locals can’t wait for it. With more than 80 Christmas markets and venues, Berlin becomes one of the most popular city must-to-visit-before-Christmas in Europe. Beautiful Christmas decorations, not just on hotels and government buildings, but all famous landmarks and monuments accompanied with countless Christmas trees, some of them surprisingly huge, can’t be missed. Smell of traditional and famous Glühwein, bbq-ed curryworst, hams and sausages is everywhere and this will stick in your memory and taste buds for a long time. Each Christmas market in Berlin has their own beautiful cups, so while you purchase the Glühwein, you will pay deposit of 3 euros for the cup and it’s up to you if you would like to return it or keep it as a souvenir. Usual price of Gluhwein is between 3-5 euros. Germany is very famous with their Glühwein (mulled wine). What is so special about it? It’s difficult to find exact recipe of Glühwein, but most common ingredients are cinnamon,citrus, vanilla and splash of brandy boiled together for at least 45 minutes. Then you have also the choice to add Schuss, which is shot of rum or different type of liquors. It’s also known as aphrodisiac and certainly will keep you warm while walking around the city. You can find also option of rose and white Glühwein. While there is a huge range of Christmas markets in Berlin, I would recommend 3 best ones in Mitte. That’s the most famous Christmas market and the only one with admission fee of 1 euro. The reason for admission fee is that market is checked by security, it’s the only one market where you can enjoy your food or drink inside (in warm environment), has toilets and every day in front of famous Konzerthaus you can enjoy traditional Christmas performances. You can find here all delicious and fancy Christmas dishes such as duck or goose with dumplings and red cabbage or cooked Prague’s ham, goulash soup and many more, going well with typical German beers or wines. Market has many small shops with handmade crafts, Christmas decorations or jewelleries. Free admission is between 11 am to 2 pm (weekdays only) and market is open during the weekdays until 10 pm and weekends until 11 pm. Popular due big slide, where not only kids might have a lot of fun, and also with ice and curling ring. Here you can find the best Gluhwein in city 🙂 The market is more focused on street food such as famous currywurst with fries or you can try langos, everything is served outside. All the way from Potsdamer Platz to Arkaden (shopping center) is market with many small wooden stalls where you can find big range of souvenirs, hand-made clothes and Christmas decorations. In the end of the market, is beautiful Christmas tree. Market is opening in the mornings and usually closing around 10-11 pm, depends on amount of customers. Market at Alexanderplatz is one of the oldest Christmas market in Berlin, recommended not just for adults but also for kids. Nearby is not very traditional but, lot-of-fun market, called Winterbaum am Alexa (between Alexa shopping center and Jannowitzbrucke) with huge Ferris wheel and roller coasters. As everywhere, you can enjoy here many Christmas delicacies. Christmas is amazing time of the year and there are unlimited opportunities to enjoy it in Berlin. 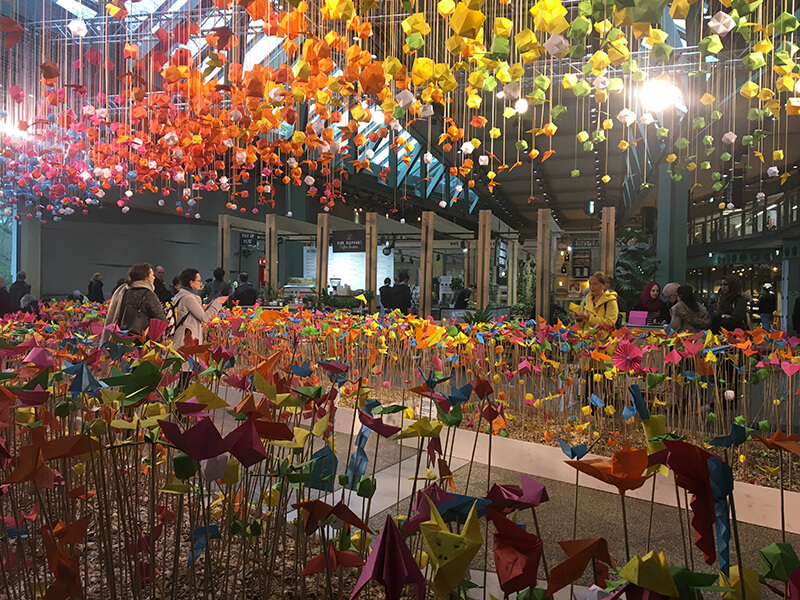 While you are visiting Berlin and regular shopping is not something what you would like to spend your time with, why not to visit some weekend markets in Berlin which might surprise you with many different choices. Rarities what you can find on weekend markets, might sometimes bring up your childhood memories or remind you important eras of last century… Street food, furniture, clothes, handmade creations, antiques or flea markets are very popular not just for Berliners but also for many tourists. You can come across many small markets on your way while visiting popular sightseeing places or you can check the places I came across. Depends on your mood or taste ?. If you are staying in Kudamm area or would like to visit other areas of Berlin than Mitte (centrum of Berlin), I highly recommend to stop by at Winterfeldtplatz Market. Market is in Schöneberg, which is midway between Kreuzberg and Wilmersdorf. You can get there by U-bahn, get off at Nollendorfplatz station and simply walk there about 8 min. On the way from U-bahn station you can stop by for coffee or breakfast while in that area are many stylish cafés, bars and small restaurants. The best and busiest time for this market is saturday, opening at 8 am which is good for early birds. Market is popular for high-quality choice of fresh fruit and vegetables, cheese, sausages, meat, sweets, fish, flowers but also handmade jewelry and clothes. Once you will get there around lunch time, you can enjoy your lunch with quite large choice of food from different type of cuisines in great atmosphere of green and St. Matthias Church. Do not skip to try some of the homemade cakes which might make your day ? Situated right in the heart of Berlin, both markets next to each other, that’s the place where you can easily spend half of the day ? It’s 20 min walk from Brandenburger Gate through popular Unter den Linden and it’s taking place at first street just behind the Berliner Dome or if you go from Alexanderplatz it’s the first street before the Berliner Dome and about 10 min walk. Surrounded area of the markets is incredible, called Museum Island, a UNESCO-listed World Heritage Site lying in the middle of the Spree which is home to five of Berlin’s most important museums. After quick check of those beautiful places you can start your hunt at the Art market, which is focused on paintings, photography, sculptures, handmade jewelry, leather bags, designed fashion clothes and many more. Talk directly to artists, not just to sales person, but be aware that prices are fixed and negotiating is quite uncomfortable for them. This is a place where you can get perfect gifts or souvenirs. Starting with big range of old books, magazines, vinyl records and stamps continue to handmade and antique jewelry, paintings, vases, silver cutlery, old crockery, pottery and small furniture. Prices might be a bit higher than at others Berlin’s flea markets but this is the place where you can use your negotiating talent ? Market is finishing at Monbijou (Oranienburger Straße) and that’s the place where you can find many bars and restaurants, some of them typical only for Berlin. Another, not even 15 min walk, from Art & Flea markets at Bode Museum, is Hackescher Markt market which is hotspot for tourists. Market is places in main square, surrounded by many restaurants with different price ranges, starting from kebab place, German restaurant or popular steakhouse Maredo. Once sun is shining, restaurants are packed and you can enjoy atmosphere of the square with delicious cocktails or typical German beer. If you feel like Guinness, Irish pub is just behind the corner ? Market offers fresh fruit, vegetables, flowers, handmade jewelry and clothes. You should definitely try some of the Arabic food or tea, which is offered in few places or typical German currywurst. If you are not much into meat, try some homemade Italian dishes and pasta. And once you feel that it was enough market shopping for one day, next to square are many designers shops such as Michael Kors, Desigual, Uniqlo and many unique fashion boutiques. I’m living in Berlin for few years now but I was always 100 % sure that Strasse 17. Juni is going from Brandenburger Gate to Victory Column and there the street finish. Mistake! ? After Victory Column, the street continues for quite a while and at the end of it, just before Charlottenburg Gate is spreading the oldest and the largest flea market in Berlin. Honestly, there are not many things what you can not find there. Starting with porcelain pottery, antique statues, candlesticks, books, vinyl records, old magazines, paintings, vintage and second hand clothes, antique jewelry, small furniture, carpets and many more. If you get hangry, there are few places where you can grab typical German currywurst but I wouldn’t be going there for lunch. The market is quite busy, but don’t count with cheap shopping there. For flea market, it’s actually expensive and you might get surprised if they will ask you couple of hundred euros for glass candlestick or nealy hundred euros for small vintage earrings. Then obviously, you have a big space for negotiation, if you feel to spend another half an hour with intense negotiating in mixed english-german language. From the other hand, it is definitely worth to visit the market, at least to see it. You can take S-bahn train which will bring you next to the market, the station is called Tiergarten. Did you get a chance to do a bit of shopping or to check the places what I advised you in my last blog? If not or it’s not your nearby area, don’t be upset ? 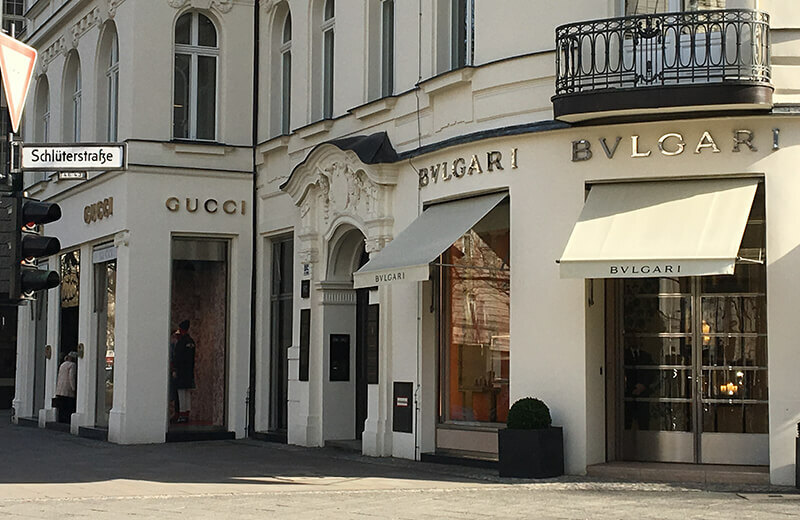 There are many shopping places in Berlin and with 2nd part of “Shopping passion in Berlin” blog we are going to visit popular shopping district in West side of Berlin – Kurfürstendamm or also called Ku’damm area. Kudamm is the most famous shopping and pedestrian promenade in Berlin comparable to Champs-Élysées in Paris or Oxford street in London. Within 3.5 kilometer (2.2 mile) long street you can come across many affordable brand stores such as Zara, H&M, S.Oliver, Uniqlo, United Color of Benetton but also a big range of high end brands and prestigious boutiques such as Valentino, Chanel, Hermès, Dolce & Gabbana, Ermenegildo Zegna, MCM, Prada, Gucci, Bvlgari and many more. Everyone can find here own price range and taste shops. As every shopping area, Kudamm has also several department stores. The KaDeWe (short version of “Kaufhaus des Westens”) was built in 1907 at Wittenbergplatz on Tauentzienstraße, now well known as Department store of the West. KaDeWe targeting the upper class by offering luxurious items and special services. It is the largest department store of its kind in Europe after Harrods in London, spanning over 60,000 square meters across seven floors. It attracts 40,000 to 50,000 visitors every day and during the Christmas time it comes to 100.000 visitors daily. All in all about 2,000 employees take care of the needs and wishes of the customers. Shops located in KaDeWe provide high-quality design clothing, cosmetics, jewellery and living items. You can find there brands such as Yves Saint Laurent, Christian Dior, Michael Kors, Miu Miu, Dolce & Gabbana, Mont Blanc, Cartier, Burberry, Rolex, Tiffany & Co., Prada and many more. Often, you can stumble across fashion or cosmetics presentations and events of those brands. 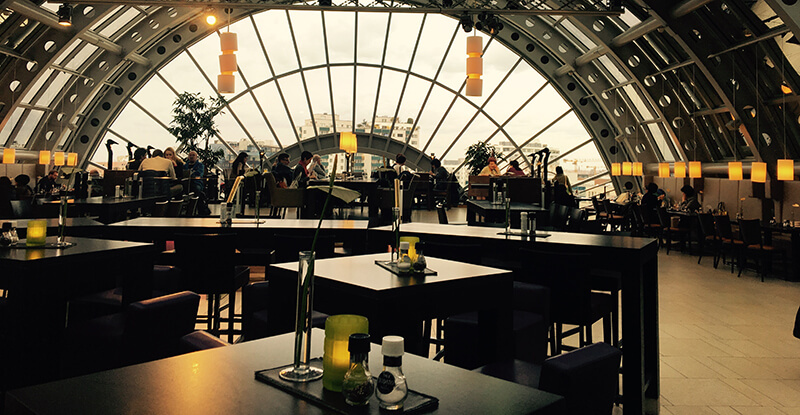 Furthermore, the KaDeWe is known for its legendary gourmet department on the sixth and seventh floor with amazing glass-front rooftop garden which provides a spectacular view over the Kudamm area. You can purchase premium food products from all over the world at several bars, restaurants and cafés or just enjoy tasty breakfast or lunch. Bikini Berlin is a new concept mall located in the neighbourhood of Zoo-Palast and Kaiser Wilhelm Memorial Church also known as “Broken Church”. It was opened in april 2014 and now is well known for Temporary wooden “pop-up stores”. These 20 wooden boxes offer a special kind of exhibition space which can be used for various presentations therefore you can find there many unique boutiques, handmade products and more. In total, around 60 so called “concept shops” are strolling on three floors including as well cafés and restaurants. The name “Bikini” is a nickname, since the original building was optically separated into a lower and an upper part. Shopping centres are everywhere in the world and Berlin is no exception. 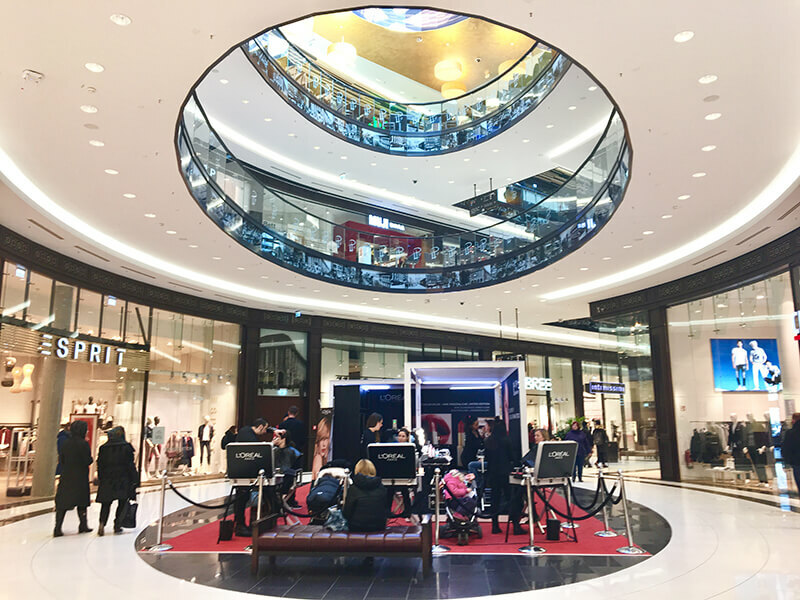 If you take all the shopping malls together, Berlin owns a total amount of 1.190.000 square meter of shopping pleasure and there are more than 50 shopping centers here. The largest shopping center is called Gropius Passagen, located in the south of Neukölln and owns 85.000 m² shopping area. If you want to shop large but don’t want to travel that far outside of the city-center, you can also visit several large shopping centers in New Berlin (Mitte area). This new shopping center is located between Potsdamer Platz and Friedrichstraße, which is around 10 min walk from Brandenburger Gate and 5 min walk from Holocaust Memorial. Shopping area of Mall of Berlin covers 76,000 square metres which is labeling it as second large shopping center in Berlin. Within 300 shops you can find a wide range of high-end fashion labels but also selection of less pricey everyday fashion, footwear, jewellery, gift and cosmetics shops. On second floor you can find Germany’s largest Food Court. Potsdamer Platz is one of the most popular squares in New Berlin with short reach of Brandenburger Gate and CheckPoint Charlie. There are many things what to do there, including 40,000 square meters shopping center named Arkaden with more than 130 shops, restaurants, cafes and bars. The focus of this shopping centre is fashion and garments. Nearby Arkaden is famous Legoland, where you can easily spend at least 2 hours and definitely find there a gifts which will surprise not only kids but also many adults ? Friedrichstraße is one of the most frequented shopping areas in the heart of Berlin. The 3.3 kilometre long shopping street starting from Checkpoint Charlie and finish at the Bahnhof Friedrichstrasse carrying international designers stores, bakeries, bars and restaurants. Stores are usually open between 10 am – 8 pm. To spice up your day on Friedrichstraße, there is must-to-visit Parisian department store, Galeries Lafayette, with beautiful glass interior design fulfilled with luxurious French and International fashion brands and cosmetics products. In gourmet section downstairs you can find French delicacies, cheese, wine and champagnes. Very important is to know, that in Germany, all shopping places are closed on Sundays, therefore do not leave your shopping plans for that day. Sometimes there is an exception and shopping centers are open for couple of hours on Sunday. In Part II. of this blog, which will be published next week, we will visit shopping centers and main shopping districts in Kudam area of Berlin. Till then enjoy shopping in Berlin and do not hesitate to share with us your experience ?